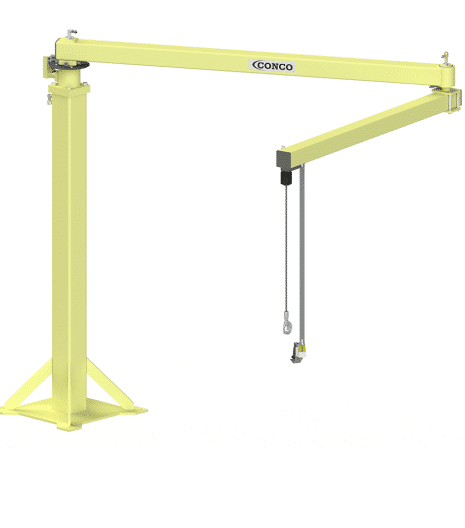 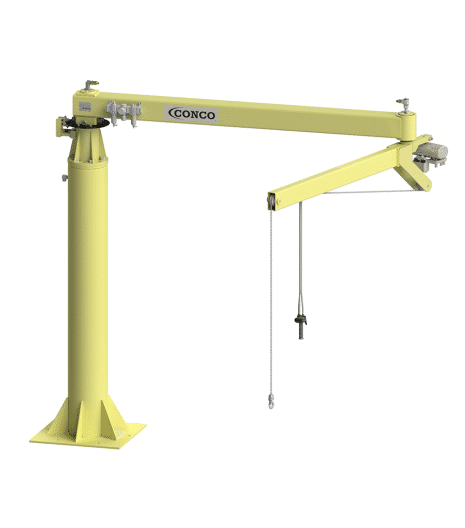 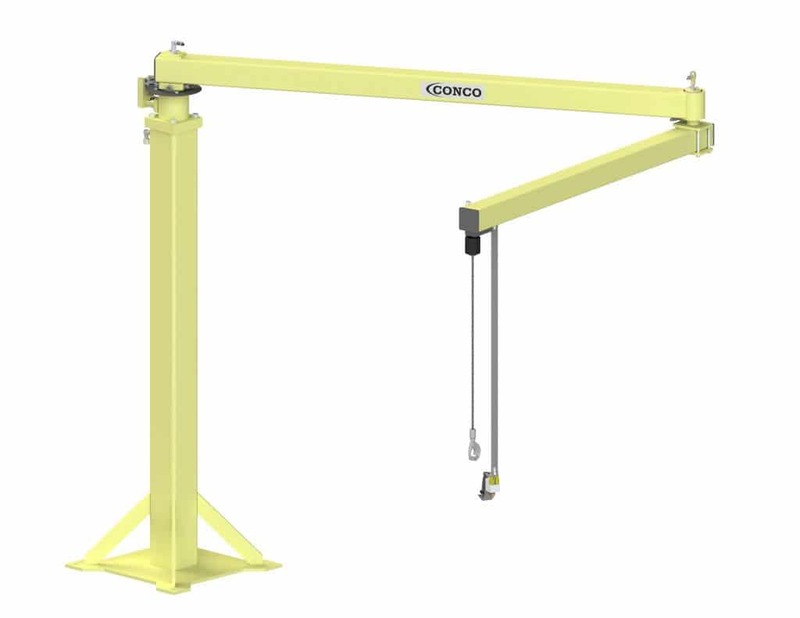 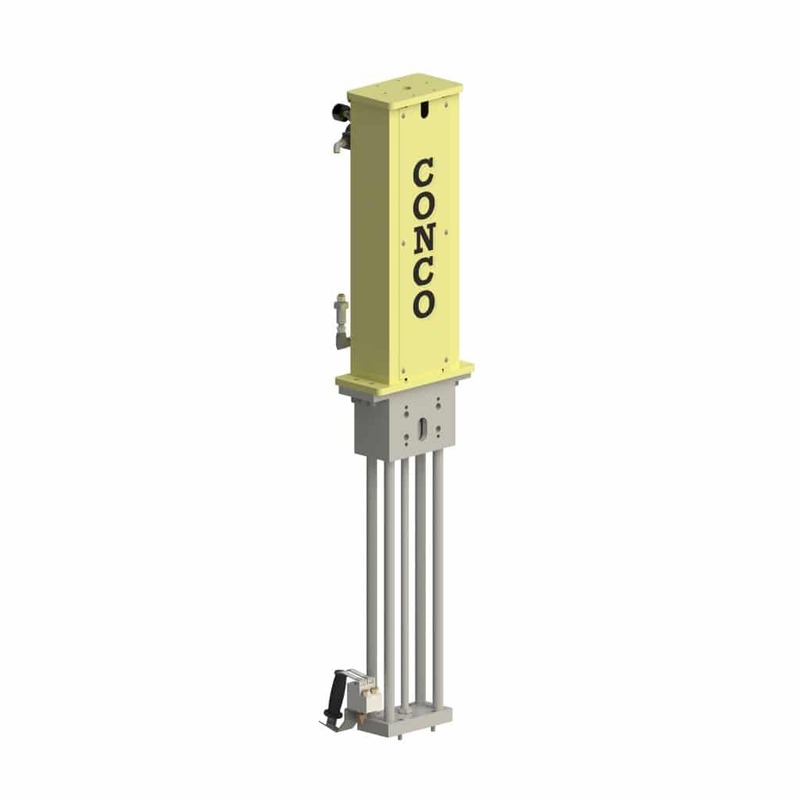 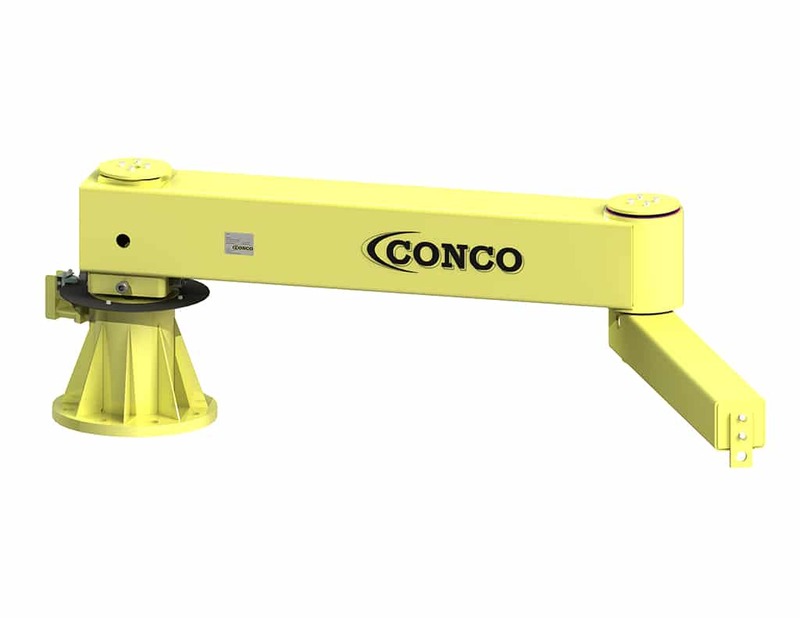 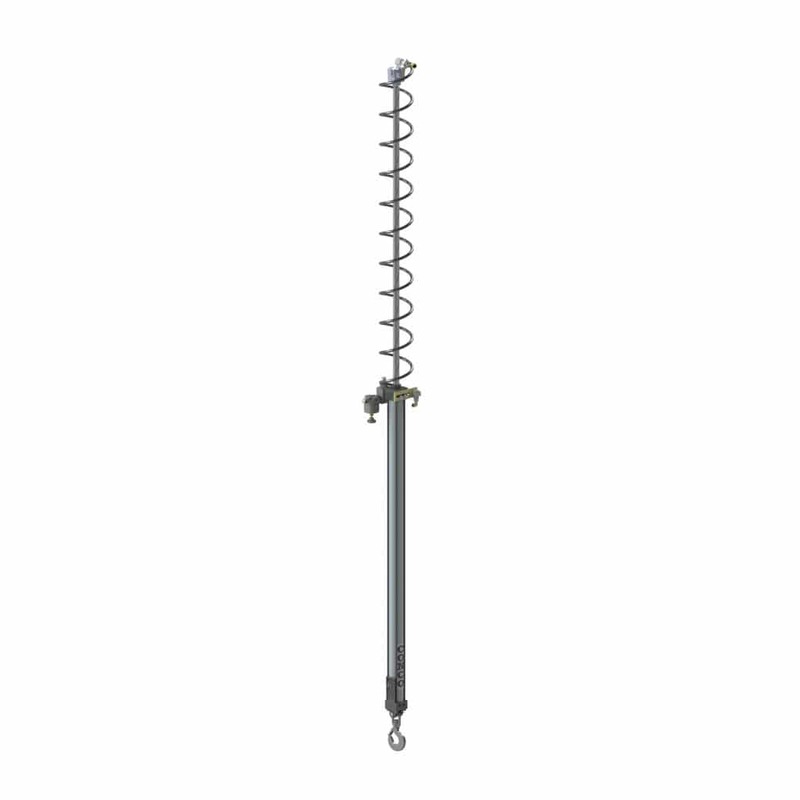 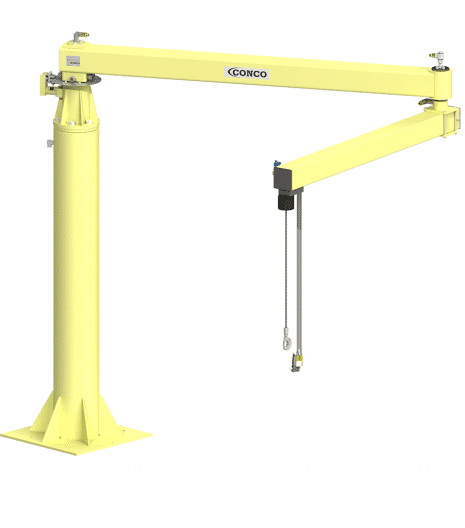 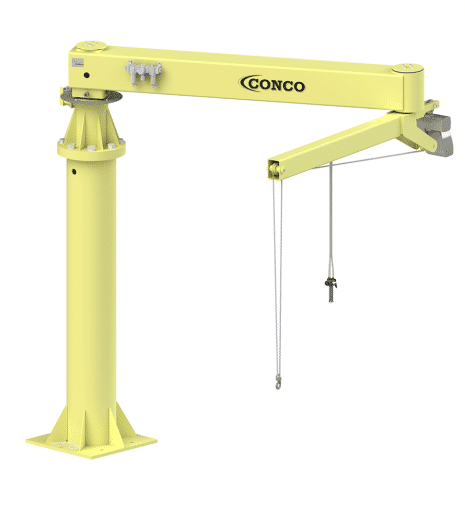 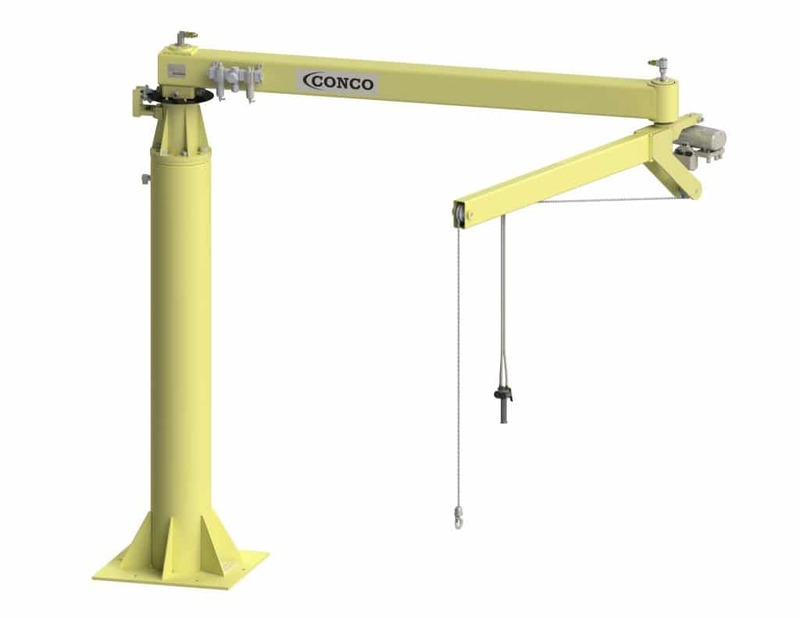 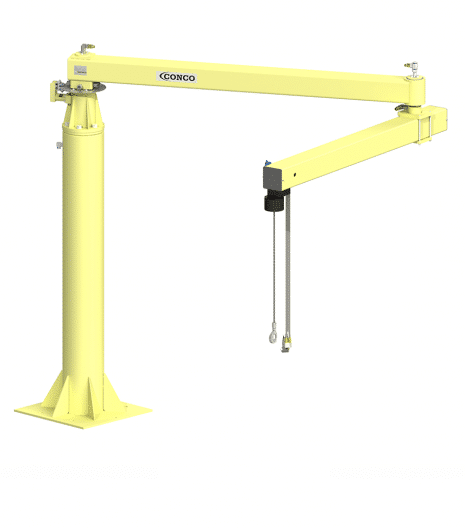 The Conco® Articulated Jib Hoist delivers a unique design, offering the advantages of a fully functioning articulating jib, integrated with the strength of a hoist to lift and position all types of payloads. 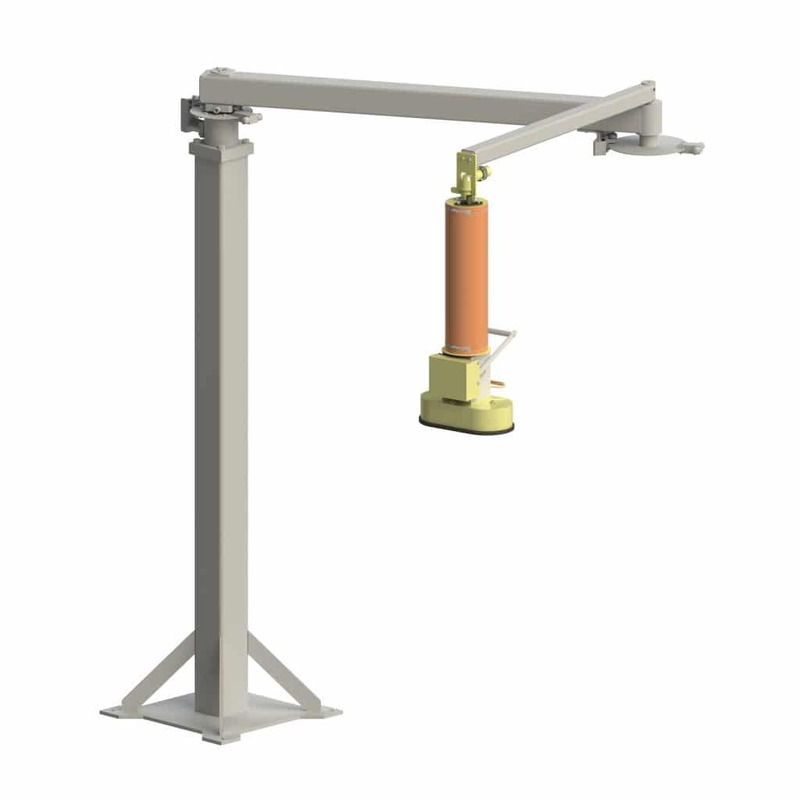 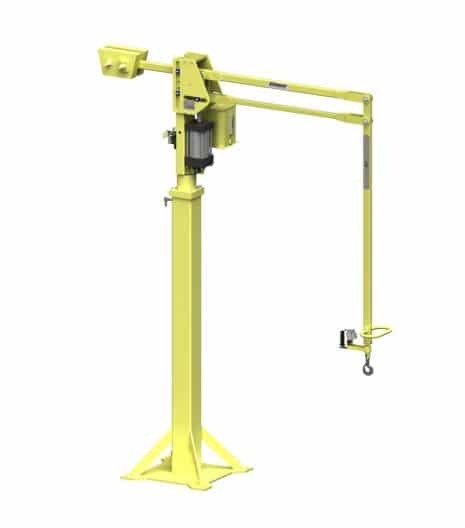 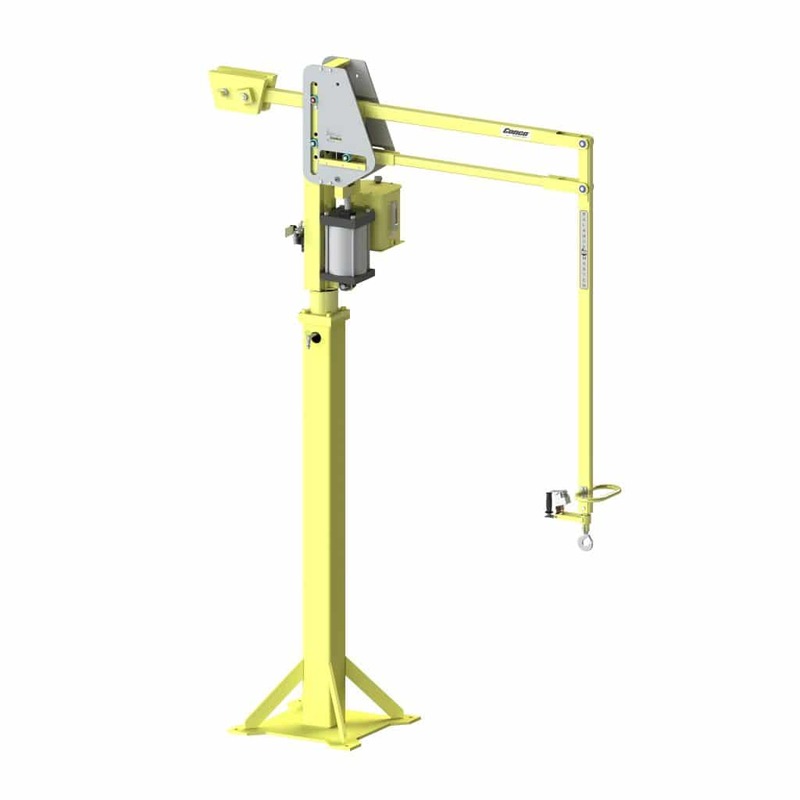 This articulating jib is ideal for reaching into inaccessible areas where headroom limitations preclude the use of a conventional articulated jib and balancer but the part handling requires the gentle touch of a pneumatic balancer. 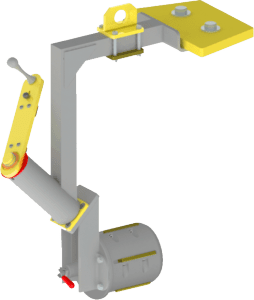 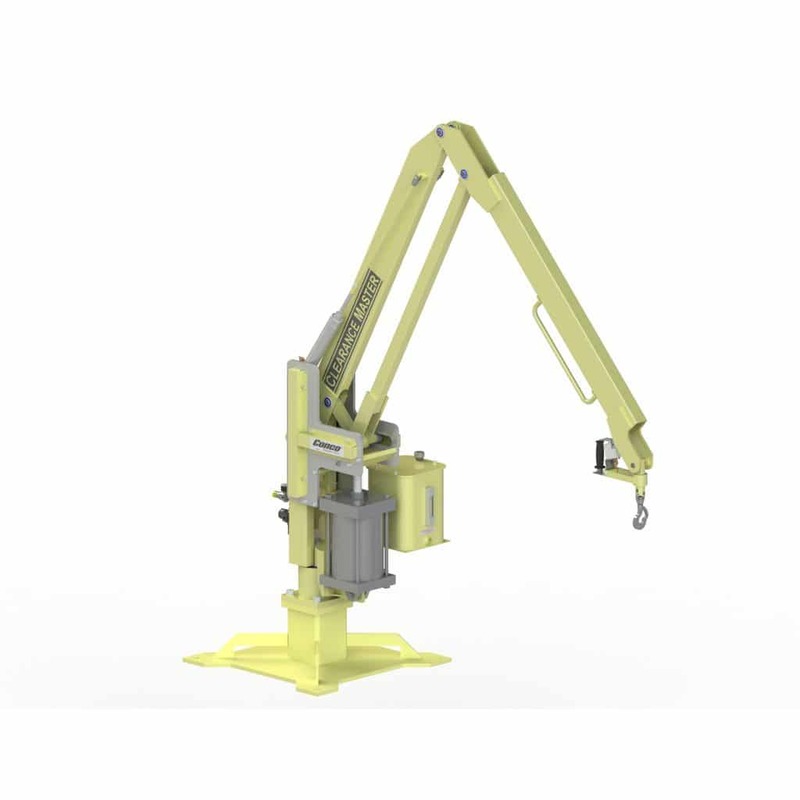 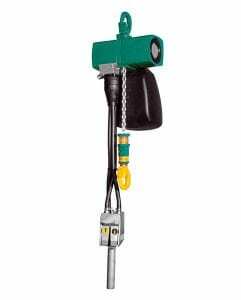 This pneumatic manipulator arm provides for exact positioning due to free, almost effortless horizontal and vertical movement, constant support and positive control at all times.